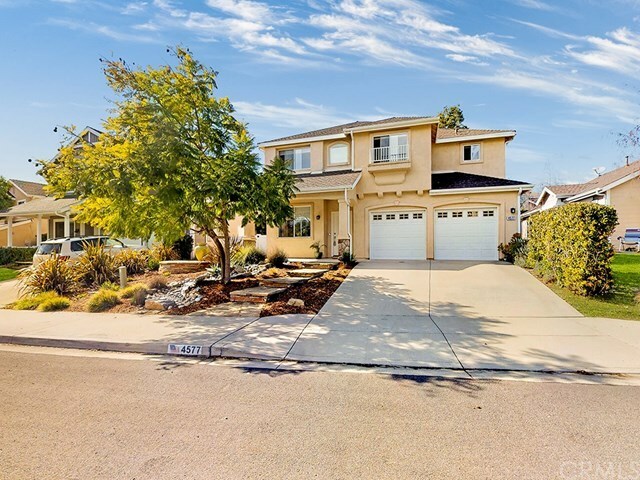 Beautifully upgraded and impeccably maintained move-in ready 5 bedroom home in one of San Luis Obispoâs most sought after neighborhoods featuring Central Coast living at its finest. Conveniently located in the Los Ranchos school district and in close proximity to shopping, the Edna Valley wine area, parks, walking, biking and hiking trails. Downstairs includes kitchen, living and dining space plus one bedroom and Â¾ bath that allows for single level living (or it could be an office, media room or den). Upstairs are four bedrooms (one currently being used as an office) along with a spacious, beautiful master suite, laundry and a loft area that is perfect for relaxing or for the kids to use. The chefâs dream kitchen features new Cambria quartz counters, subway tile backsplash, upgraded stainless steel appliances and large walk-in pantry. Closets have been designed by California Closets, there are laminate wood floors throughout and all bathrooms have new countertops, sinks and lighting. The private backyard is perfect for entertaining with a small grassy area, stamped concrete patio and covered seating area with heaters. If you want to find the perfect home in an attractive neighborhood, this is it! Information deemed reliable but not guaranteed.